How in the world did people ever parent before the days of social media? Where did they get birthday party ideas? And how did they manage to distract themselves with completely irrelevant facts about the lives of their “friends” on Facebook while looking for birthday party ideas? And where did they post pictures of the aforementioned birthday party ideas that were carried out? In all seriousness, it’s pretty shocking to look back and consider how quickly social media has become ingrained in our lives. And while there are some benefits (hello, birthday party ideas! ), there’s one glaring drawback: we have countless standards by which to judge ourselves. The problem is that most of these standards come from well-meaning, but misguided people who aren’t applying the wisdom of God’s Word to their parenting. As Christians, we need to faithfully apply the Bible’s teachings to all areas of our lives even though they may run counter to pop culture. We’ve all probably believed the following myths at one point or another. If we’re not careful, they can end up leading us (and our kids) astray and becoming pitfalls in our parenting journey. Yes, children should have friends and learn how to get along well with others. But if our intention is for them to eventually grow into mature, responsible adults, they will be better served by spending time mainly with… adults. They don’t need to be influenced and taught by other kids, who are just as immature as they are. Proverbs 22:15 says, “Foolishness is bound up in the heart of a child; the rod of discipline will remove it far from him.” Children are, by nature, foolish. That’s why we spend the better part of 18 years training, correcting and guiding them, so that eventually they will become wise. If the goal of socialization is greater maturity, children should learn this from wise, godly adults who love the Lord, instead of by following the social cues of their peers. We should seek out fellow Christ-followers who will speak truth into the lives of our kids, and reinforce what we are teaching them at home- those ultimately passionate about reaching their hearts and molding their character. Otherwise, our kids have the very real potential to become corrupted (1 Corinthians 15:33). Sunday schools and youth groups can be a wonderful source of biblical learning, but they cannot replace your role and responsibility. 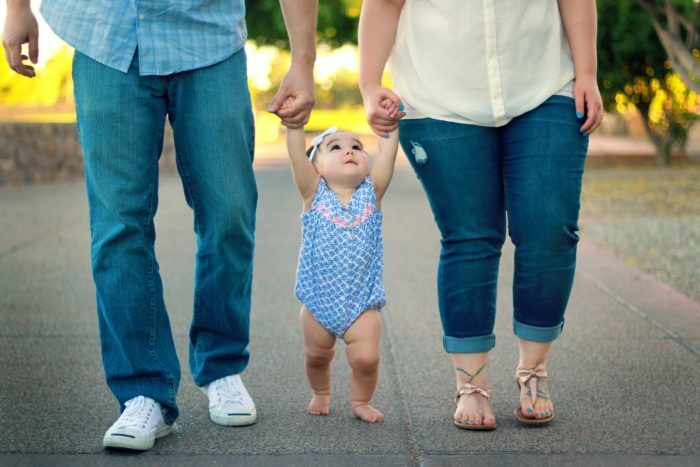 God intends for parents to be their children’s primary spiritual influence (Deuteronomy 6:5-9)! 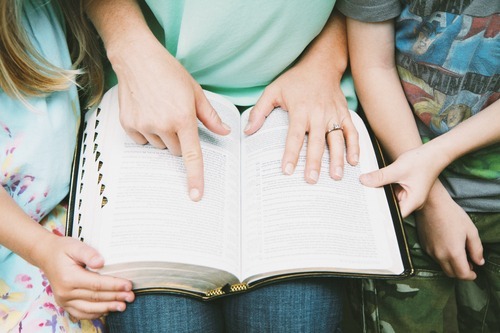 Discipleship and multi-generational faithfulness begins and ends at home, and at best, the church is to come alongside parents as it “equips the saints for the work of ministry”. Once upon a time, the church played a role in every part of life and every level of society, including the economic, social, intellectual, and cultural lives of people. The Christian worldview was prevalent in the culture, and its rationality was reinforced. These days, our culture legitimizes secularism instead. It’s no longer enough to just send your kids to church twice a week and hope they learn everything they need to about God and the Bible. They won’t get our faith through osmosis, either. If we’re not actively training and teaching them to love God, the world will teach them not to. We’ve all heard the saying, “Wait until they hit the rebellious teen years.” Anticipating these years with dread, we prepare ourselves for the worst and try to cushion the blow by relaxing up on the rules. But it doesn’t have to be this way. The truth is, kids don’t rebel against rules; they rebel against a lack of relationship. We lose our kids’ hearts when we discourage their efforts and talents, shut down their questions and fail to connect with them on an individual basis. Without a healthy amount of boundaries, children become insecure, entitled and irresponsible. You’ve been given authority over your children by God! He has delegated oversight of your children’s welfare and development to you (Exodus 20:12, Colossians 3:20). And you embody the security and limits that ultimately come from submitting to a loving heavenly Father. Questioning doesn’t always indicate a crisis of faith. It can actually be a good thing, when it leads to investigation and discovery. Instead of ignoring or putting them off, we should use those opportunities to teach our kids why we believe what we believe. If we don’t, we’ll just end up affirming the doubts that caused their questions in the first place. We will also send the message that our faith is “blind”. 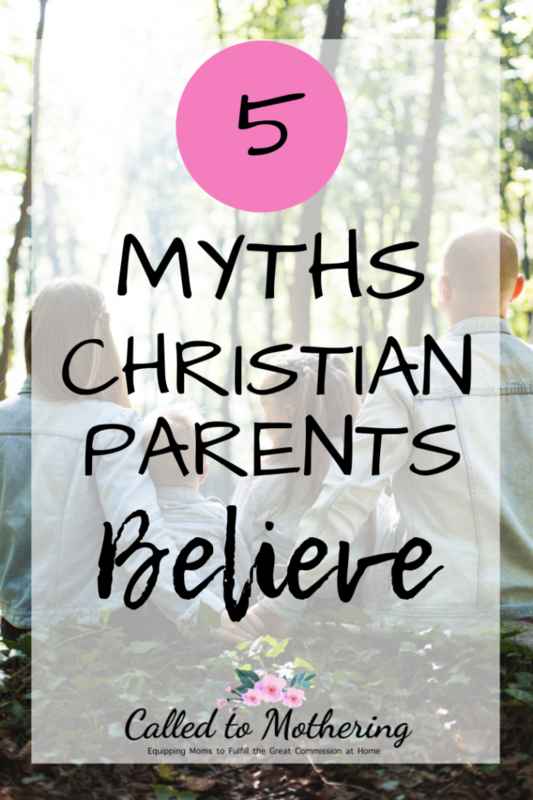 Having healthy, thoughtful conversations with our kids when they doubt strengthens their faith, instead of the other way around! There’s a very good chance the culture will present your children with tough questions, and then step in to provide the answers when they don’t know them. And they’ll end up falling prey to false teachings. When kids eventually encounter an avalanche of faith challenges, if they haven’t first heard them from and discussed them with their parents or pastors, they’ll assume the secular world has thought more deeply about Christianity than the Christians around them. Much of the time, atheists do this with pure rhetoric, and not even in the context of any actual arguments against Christianity. But our kids won’t know any better. We need to be ready and willing to talk through those tough questions first with our children and provide clear, logical answers. We tend to divide education into categories of scholastic and spiritual instruction, but the truth is that ALL education is spiritual. Education involves so much more than just imparting knowledge; it involves the shaping of character and transmitting of values. Proverbs 1:7 says, “The fear of the Lord is the beginning of knowledge.” Basically, the Bible is foundational to all learning. God’s truth is essential for useful instruction, since education is inherently moral. The judgments and actions of every person involve an exercise of reason. It’s impossible to separate ethics from intellect. A non-Christian training is an anti-Christian training, not a neutral one. Humans always find out, sooner or later, that they cannot get on without a religion, and it will take a false one in preference to none (1 Corinthians 1:19-20). Godly wisdom and worldly wisdom cannot co-exist. One will inevitably dominate the other. With the religious aspect removed from schools, they just end up becoming a system for training in atheism and immorality. In this “Information Age,” it has never been more critical to filter cultural messages through the lens of biblical truth. We can do this by knowing the truth, because recognizing what’s not truth is impossible without knowing what is truth. Spending time in God’s Word and absorbing His truth by the power of His Spirit enables us to identify the world’s lies, about parenting and otherwise!